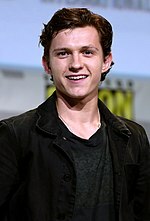 The nominees were announced on 10 January 2017 by actors Dominic Cooper and Sophie Turner. La La Land received the most nominations in eleven categories, including Best Film, Best Director (Damien Chazelle), Best Actor in a Leading Role (Ryan Gosling), Best Actress in a Leading Role (Emma Stone), and Best Original Screenplay (Chazelle). Arrival and Nocturnal Animals followed with nine nominations each. The leading British films were Ken Loach's I, Daniel Blake and the Harry Potter spin-off Fantastic Beasts and Where to Find Them with five nominations apiece and winning one award each. Following criticism at the lack of representation of ethnic minorities for the previous ceremony, BAFTA had announced steps to increase diversity across the industry, on both sides of the camera. However, there was again criticism at the lack of representation of Black, Asian and minority ethnic (BAME) actors, directors and films in the nominations. In the leading actor, actress and director fields there were no BAME nominees, with the omission of director Barry Jenkins for Moonlight and actor/director Denzel Washington for Fences highlighted as particularly noteworthy. La La Land won the most awards at the event, winning five including Best Film. 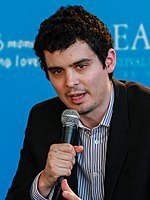 Damien Chazelle won Best Director, Emma Stone won Best Actress in a Leading Role, Linus Sandgren won Best Cinematography, and Justin Hurwitz won Best Original Music. 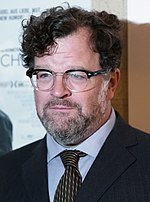 Both Manchester by the Sea and Lion won two awards each. 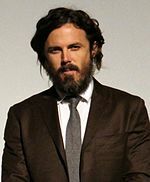 Casey Affleck won Best Actor in a Leading Role and Kenneth Lonergan won Best Original Screenplay for Manchester by the Sea, while Dev Patel won Best Actor in a Supporting Role and Luke Davies won Best Adapted Screenplay for Lion. 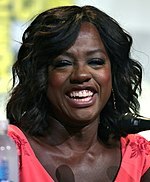 Additionally, Viola Davis won Best Actress in a Supporting Role for her role in Fences and Mel Brooks was awarded the BAFTA Fellowship for his contribution to cinema. The ceremony was broadcast on BBC One at 9 p.m. UTC, around two hours later than the actual ceremony. For the 12th time, Stephen Fry acted as the host. The ceremony returned to the Royal Albert Hall for the first time since 1997, as the Royal Opera House, which has hosted the awards since 2008, is being refurbished this year. Cellist Sheku Kanneh-Mason performed a solo interpretation of Leonard Cohen's "Hallelujah" to accompany the In Memoriam section. Those remembered were Gene Wilder, Garry Marshall, Sue Gibson, Kenny Baker, Tony Dyson, Peter Shaffer, Paul Lewis, Michael White, Ken Adam, Guy Hamilton, Debbie Reynolds, Carrie Fisher, Abbas Kiarostami, Jim Clark, Simon Relph, Douglas Slocombe, Anton Yelchin, Robin Hardy, David Rose, Curtis Hanson, Clare Wise, Om Puri, Alec McCowen, Emmanuelle Riva, Andrzej Wajda, Michael Cimino, Antony Gibbs, and Sir John Hurt. The nominees were announced on 10 January 2017. The winners were announced on 12 February 2017. ^ a b c Shoard, Catherine (10 January 2017). "Bafta nominations 2017: La La Land dances on but Arrival and Nocturnal Animals hot on its heels". The Guardian. Retrieved 11 January 2017. ^ Ritman, Alex (14 December 2016). "BAFTA Unveils New Diversity Initiatives for Film Awards". The Hollywood Reporter. Retrieved 20 January 2017. ^ a b Pulver, Andrew (11 January 2017). "Bafta race row: awards slammed for scarcity of BAME nominations". The Guardian. Retrieved 11 January 2017. ^ Barraclough, Leo (14 December 2016). "BAFTA Moves to Improve Diversity in British Filmmaking". Variety. Retrieved 20 January 2017. ^ "The awards, the speeches and the frocks: Baftas 2017 - as it happened". The Guardian. 12 February 2017. Retrieved 20 February 2017. ^ a b "'La La Land' Wins Top Prize at BAFTA Awards in London". Variety. 12 February 2017. Retrieved 13 February 2017. ^ a b "Stephen Fry to host Baftas for 12th time". The Guardian. 8 November 2016. Retrieved 12 January 2017. ^ "This cellist has rearranged Leonard Cohen's Hallelujah into a spine-tingling chamber masterpiece". Classic FM. 13 February 2017. Retrieved 13 February 2017. ^ "BBC iPlayer - The British Academy Film Awards - 2017". BBC. 12 February 2017. Retrieved 27 February 2017. ^ "La La Land leads Bafta film nominations". BBC News. 10 January 2017. Retrieved 10 January 2017. ^ "BAFTA Film Award Nominations: 'La La Land' Leads Race". Variety. 10 January 2017. Retrieved 10 January 2017. ^ "Bafta winners 2017, full list: victory for La La Land and I, Daniel Blake". The Telegraph. 13 February 2017. Retrieved 13 February 2017. ^ Wollaston, Victoria (13 February 2017). "Baftas 2017: all the winners in one place". Wired. Retrieved 13 February 2017.